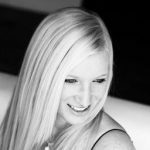 Home / Blog / What is Drop Shipping? 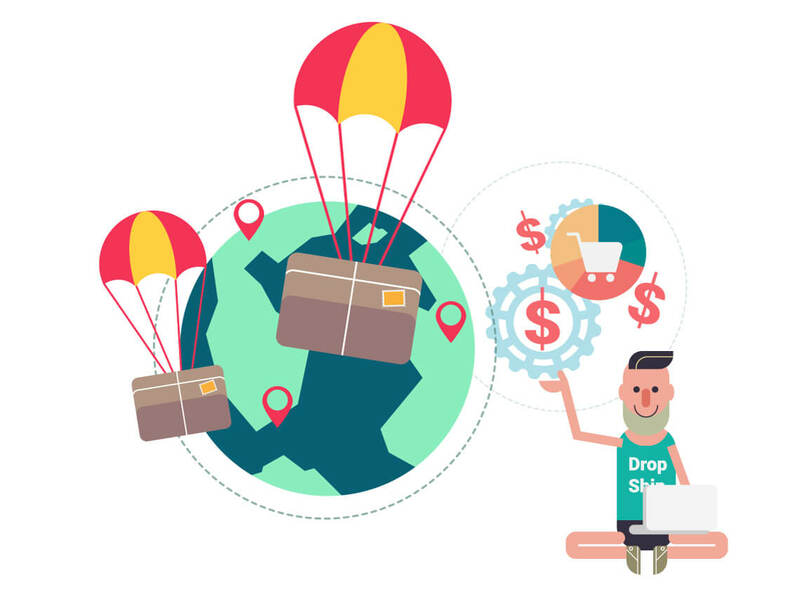 Drop Shipping may not be a common term for those people considering to jump into ecommerce for the first time, but it can make all the difference in the eCommerce world when you create an online store. Drop shipping is a fulfillment structure in which a manufacturer or wholesaler agrees to ship single products directly to customers on behalf of the etailer allowing the etailer to sell items without housing inventory. 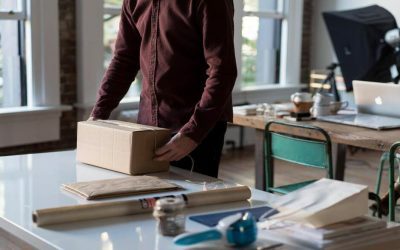 About 33% of eCommerce companies use dropshipping as their main method of distribution (E-DSS.org). Furthermore, some retailers have a partnership where the eCommerce company sells the product for a certain percentage for the manufacturer. Famous etailers that use drop shipping as their method of distribution are Amazon, Sears, and Wayfair.com. 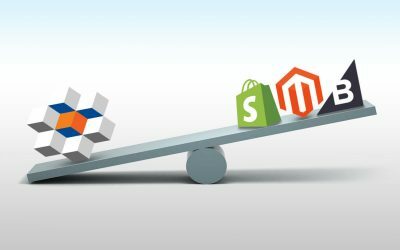 The biggest difference between drop shipping and another structure is that the eCommerce company doesn’t keep the product in stock. This allows the eCommerce company to not use capital to invest in thousands of dollars for inventory upfront. You could spend capital toward other important aspects like personnel and marketing outreach or purchasing. Besides this benefit you do not have to manage a warehouse, pack and ship orders, track inventory, and handle returns. The best part of having an eCommerce business that uses drop shipping is the ability to have a business that only needs an Internet connection. For example, you could have a dropship t shirt store while you live on a Caribbean island. That means the world is your office and you are able to conduct business from any place that strikes that interests you. There are many advantages to working remotely and helps create a pretty great work life balance. For millennials that means traveling the world care free and being able to work from any place on the planet. For more seasoned individuals that means having a great work life balance for all the family activities that are important. The most important part of drop shipping is choosing the right wholesaler that will ideally make your life easier. There many wholesalers out there trying to pose as wholesalers, which can be frustrating for eCommerce companies who are trying to make a legitimate business. Make sure that you aren’t paying a monthly fee in order to sell their products. Furthermore, wholesalers always sell to the public and they do not discriminate who their customers are. It is general practice to have a drop shipper who will charge a pre-sale charge that ranges anywhere from 2-5 dollars per order. If possible, try to have all your products from the same wholesaler because when customers are trying to buy multiple products or return multiple products the shipping and repacking can become a hassle. Of course there are cons to every decision that you make when it comes to strategy for your business. But in terms of drop shipping there are only a few cons, which includes outsourcing most of your customer satisfaction. Remember that the drop shipper is responsible for shipping, packing, and making returns. If your drop shipper decides to move at a glacial pace shipping your product you still will be blamed by your customer. Basically, all the bad things that can happen are always your eCommerce companies fault. The worst part is that you also loose quality control and the personal touch to your products. Furthermore, when you are selecting products from a drop shipper you maybe creating a store that already exists and there are copycat stores selling the same products. Another downside to drop shipping is the cost of the products is generally higher than buying in bulk leaving less profit per product. Drop shipping is such a smart and an easily tool to use if you are a young entrepreneur coming into the field. It takes little to no investment into building an online business. Also, for those who are really into working remotely it gives you the freedom to create your own schedule. Furthermore, conceptually speaking if your company has strong enough marketing skills they could sell any product to a potential customer. It’s HOW they present the product that could make them stand out from the rest. The eCommerce business is an obtainable goal for any individual who is really passionate about selling products online.